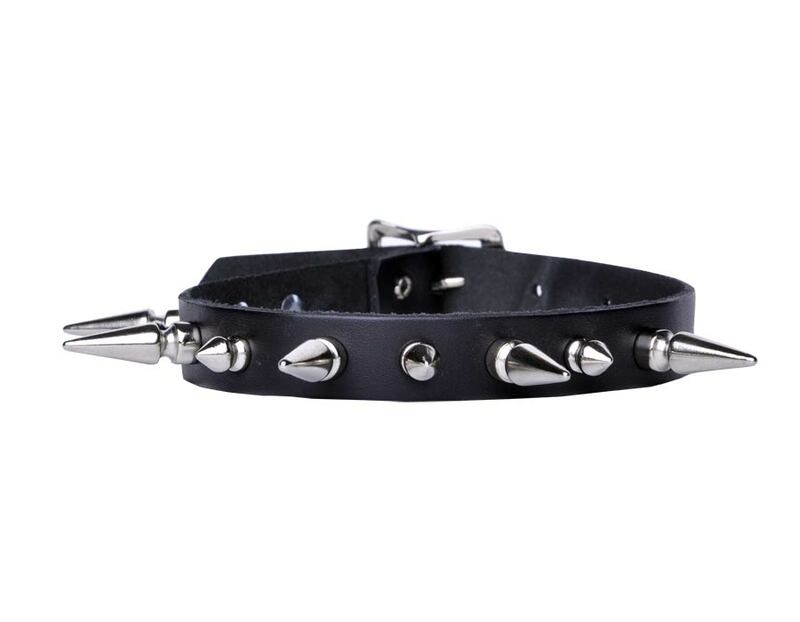 Black leather choker with alternating long and short silver spikes. Adjustable buckle strap closure. Fits 11 to 15 inch neck or 13 to 17 inch neck. Made in the USA.